Getting married? Consider beer instead of champagne. Others are. Is it the economic climate, or a case of jumping on the ale bandwagon? 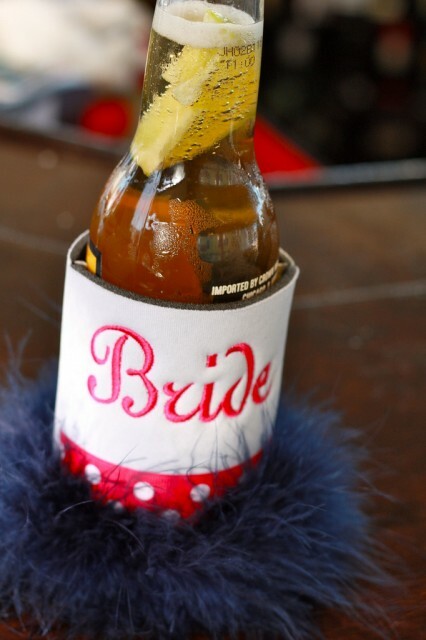 Whichever the case, more brides and grooms are ditching Champagne and toasting their weddings with beer. It was only a matter of time before even tradition-bound weddings became swept up in the craft beer revolution. And a search online reveals a growing number of breweries or ex-breweries available for wedding receptions. Samuel Adams, one of the biggest brewers in the US, released the slightly cringeingly named Brewlywed last month. It is a limited edition Belgian-style ale described by the brewers as “the colour of a golden wedding band” and is finished with a Champagne closure. Nevertheless, couples are finding beer lends itself well to customisation for the celebration. “I went to one wedding where they even designed a pull clip specially for the wedding,” said Eastwood. Bespoke beer labels are also popular.